A man has gone to court to claim the money his late mother left after her last boyfriend launched a claim for a share. James Campbell, 35, said his late mother Sarah promised he would have everything when she died. He also claims her will, drawn up 14 years before her death, handed most of her estate to him. Mr Campbell faces a court fight with his mother’s last boyfriend, Andrew Banfield, 65, who launched a High Court claim to more than half of Mr Campbell’s inheritance. Mr Banfield says he and Mrs Campbell lived as ‘husband and wife’ for more than 20 years before her death and says he requires a payout from her estate to buy his own home. Speaking to the court Mr Campbell said, “She told me on several occasions that all she wanted me to do was to find a lovely woman, buy a house, settle down and have a family. Mr Banfield claims to have moved into her home in 1993 and that they became engaged in 1999. Mr Campbell, however, denies there was ever an engagement. For Mr Campbell, barrister Elaine Palser said, “He and Mrs Campbell had an extremely close and loving relationship. It was her long-term desire that he inherit the property. This was his childhood home and he lived there – apart from a short stint away – until he moved into rented accommodation with his girlfriend in 2015, just before his mother’s unexpected death. 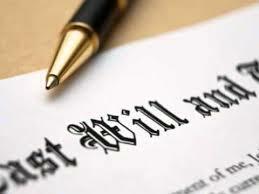 Ms Palser argued that Mr Banfield is not entitled to anything from the estate aside from a £5,000 gift which Mrs Campbell left him in her will.